The world's leading source of training and information on coating inspection is celebrating 19 years of providing a single global standard for quality training which has benefitted everyone in the protective coatings industry. 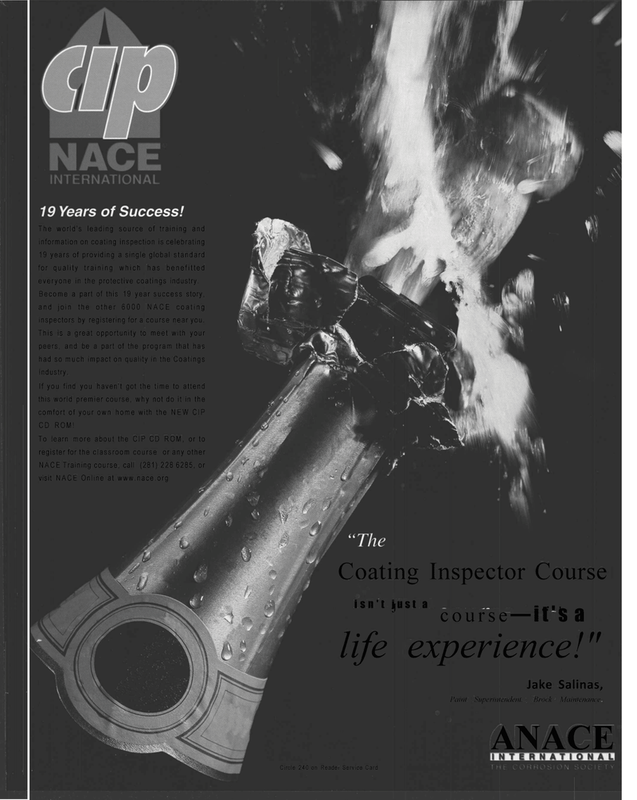 Become a part of this 19 year success story, and join the other 6000 NACE coating inspectors by registering for a course near you. Coating Inspector Course isn't just a . , J course—it's a life experience!"